The truest words expressed in the simplest manner. Calculations are an inevitable part of human life, and there is no denying that calculations have equally been challenging to the human race. And to face the same, the contemporary world heavily relies on calculators. But even since the ancient times, different civilizations have been using different tools to meet their requirements for complex as well as simple calculations. One such wondrous tool, that helped dealing with calculations since ancient times that helped in performing, the calculations with utmost speed and accuracy is, Abacus. Abacus, even now, has shown its worth, not only for calculation but also to instill confidence and concentration in the young kids as well as sharpening their memorizing ability. In toddlers, it helps in improving coordination and attentiveness. 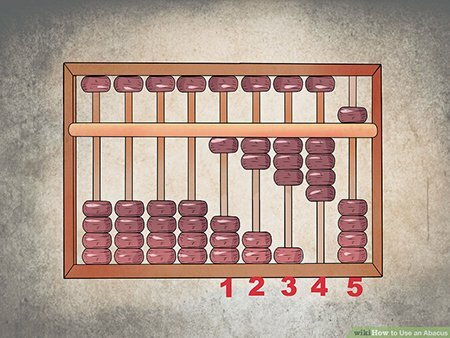 Though the abacus is a useful tool in every possible way, there lies the biggest challenge for it, which is, not many people are aware about this tool. Also, the many amongst the ones who know about it, do not know how to use it. And so, we bring to you a basic introduction on using Abacus. When having a layman’s look at abacus all we see is a rectangular case with beaded columns. But these beads and columns, have way more significance. To start with, each column represents the place value beginning from the column in the right, its place value starts from unit, tens, hundreds, thousands and so on. 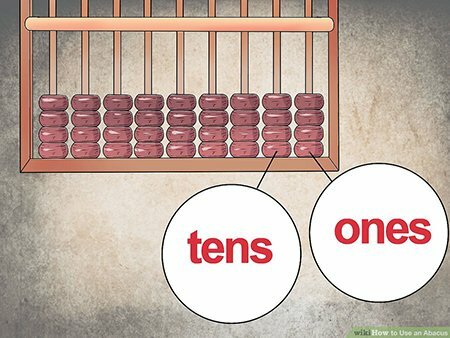 In case, we need to calculate decimals up to two places then, we can start with the place value of decimals from the left end and then continuing the same pattern for units, tens, etc. Beads on the other hand, represent the number value in the place value column. The topmost bead out the five beads in each column represents number value of 5, whereas the other beads have the number value as 1. Therefore, starting with the first column as unit’s place, one bead represents 1 and two beads as two, but for the second column, one bead would become 10 and two beads would become 20, with similar values considered for the following columns. For a column, when considering number value as 5, the topmost bead is selected whereas, for numbers greater than 5, we eventually add the beads one by one to increase the number value. For example, 6 is top bead + 1 bottom bead. And after, the number value of a column reaches to its highest value i.e. 9, then the next number is carry forwarded to the next column and the entire cycle is repeats itself again for each place value. And Walla!! 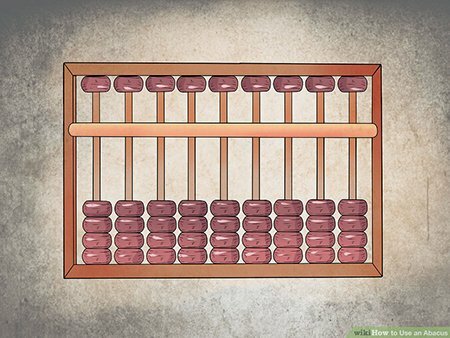 !, you know how to use an abacus. You can now, depict the longest numbers in this tool effortlessly. 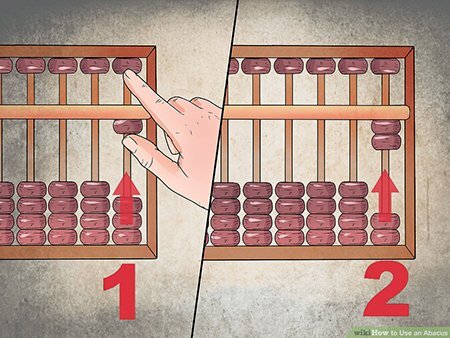 Though, there is more to abacus then just counting, but being a beginner’s guide to using an abacus, fulfills its purpose for now. And remember, when think about abacus, just ALOHA!